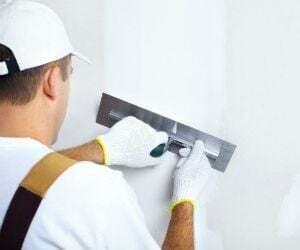 Plastering And Stucco Contractor Insurance Colorado. If you are a CO plastering and/or stucco contractor, you have a difficult job on your hands. From repairing and priming surfaces that you are working on to ensuring that you are using the right materials, and most importantly, making sure that you are delivering the highest quality work, you invest so much in the work that you do. Purchasing a plastering and stucco contractor insurance Colorado policy that is designed for plastering and stucco contractors is the best way to safeguard yourself and your business from financial loss. Plastering and stucco contractor insurance Colorado protects your business from lawsuits with rates as low as $47/mo. Get a fast quote and your certificate of insurance now. Because of the risks that are associated with being a contractor, it's important to protect yourself and your business. The best way to do that is with the proper plastering and stucco contractor insurance Colorado coverage. Products Liability - If one of the products you offer your clients is defective, you could be held responsible. For example, if something happens with the plaster or stucco and damages a property, you could be held responsible. 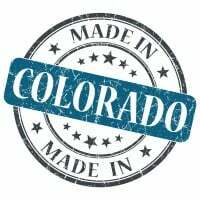 Plastering and stucco contractor insurance Colorado will cover the costs that are associated with defective products, as well as any legal fees that could arise as a result of a faulty product. Request a free Plastering And Stucco Contractor Insurance Colorado quote in Akron, Alamosa, Arvada, Aspen, Ault, Aurora, Avon, Basalt, Bayfield, Bennett, Berthoud, Boulder, Breckenridge, Brighton, Broomfield, Brush, Buena Vista, Burlington, Carbondale, Castle Pines North, Castle Rock, Cañon City, Cedaredge, Centennial, Center, Cherry Hills Village, Colorado Springs, Columbine Valley, Commerce City, Cortez, Craig, Crested Butte, Cripple Creek, Dacono, Del Norte, Delta, Denver, Durango, Eagle, Eaton, Edgewater, Elizabeth, Englewood, Erie, Estes Park, Evans, Federal Heights, Firestone, Florence, Fort Collins, Fort Lupton, Fort Morgan, Fountain, Fowler, Fraser, Frederick, Frisco, Fruita, Georgetown, Gilcrest, Glendale, Glenwood Springs, Golden, Granby, Grand Junction, Greeley, Greenwood Village, Gunnison, Gypsum, Hayden, Holyoke, Hudson, Idaho Springs, Johnstown, Julesburg, Keenesburg, Kersey, Kremmling, La Junta, La Salle, Lafayette, Lakewood, Lamar, Las Animas, Leadville, Limon, Littleton, Lochbuie, Lone Tree, Longmont, Louisville, Loveland, Lyons, Mancos, Manitou Springs, Mead, Meeker, Milliken, Minturn, Monte Vista, Montrose, Monument, Mountain Village, Nederland, New Castle, Northglenn, Olathe, Orchard City, Ordway, Ouray, Pagosa Springs, Palisade, Palmer Lake, Paonia, Parachute, Parker, Platteville, Pueblo, Rangely, Rifle, Rocky Ford, Salida, Severance, Sheridan, Silt, Silverthorne, Snowmass Village, Springfield, Steamboat Springs, Sterling, Superior, Telluride, Thornton, Trinidad, Vail, Walsenburg, Wellington, Westminster, Wheat Ridge, Windsor, Woodland Park, Wray, Yuma and all other cities in CO - The Centennial State.